Please select option for PANT - GRAY. 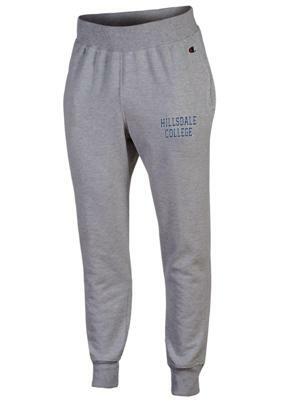 Please select option for PANT - LADIES' CROPPED LEGGING. 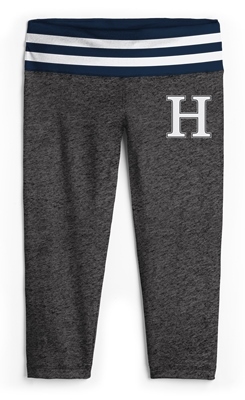 Light gray pant with navy blue and white screened imprint on upper leg. 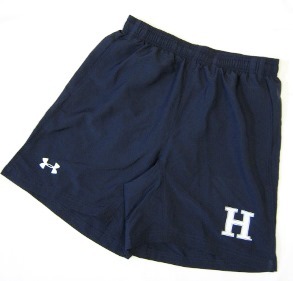 Other features include side pockets, drawstring in waistband and cuff at leg. Please select option for PANT - LIGHT GRAY. 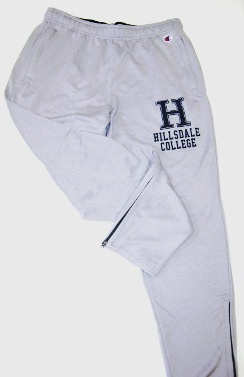 Light gray pant with navy blue screened imprint. Made of 100% polyester. Features zippered side pockets and zippers at leg bottom. Imported - Champion brand. 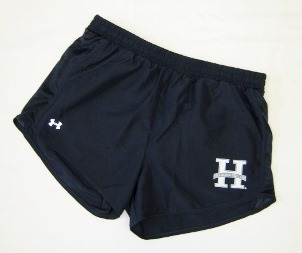 Please select option for RUNNING SHORT - NAVY BLUE UNDER ARMOUR. Charcoal short with white piping accents. 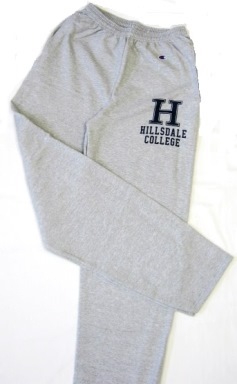 Embroidered white, gray and royal blue horse head on lower left leg. Reverses to white with gray piping accents. Made of 100% polyester. 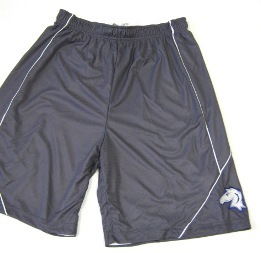 Imported - CI Sports brand. Please select option for SHORT - CHARCOAL REVERSIBLE. Please select option for SHORT - GRAY.